We sell Multipurpose ABC Dry Chemical Fire Extinguishers. 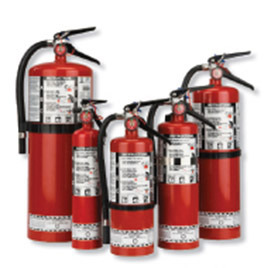 Today's most widely used type of fire extinguisher is the multipurpose dry chemical that is effective on Class A, B, and C fires. This agent also works by creating a barrier between the oxygen element and the fuel element on Class A fires.